The first thing Hannah said to the dog: "I don't know if there's enough room for you on this island. I'm already here." Inhabiting an island off the coast of Maine left to her by her great-uncle Arno, Hannah finds her life as a dedicated and solitary artist rudely interrupted one summer when a dog, matted with feathers and seaweed, arrives with the tide. The dog quickly endears himself and easily adapts to Hannah's habits, but he is only the first in a series of unexpected visitors. He is soon followed by a teenager running from an abusive father, a half sister in trouble, a mainland family in need, and a trapped whale. Now in the midst of a community that depends on her for support and love, Hannah faces new emotional challenges as family secrets are uncovered, each one more alarming than the next. In his latest novel, Joe Coomer offers the rugged yet stunning beauty of Maine and the lobstermen and their families who are tethered to the sea for survival. Pocketful of Names is a deeply human tale about the unpredictability of nature, art, family, and whatever else washes up on the shore. About Joe Coomer (Author) : Joe Coomer is a published author. 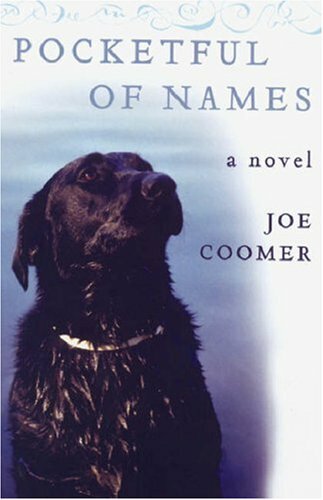 Some of the published credits of Joe Coomer include Pocketful of Names, Apologizing to Dogs, Apologizing to Dogs.